Running and I “dated” on and off for many years until 2012 when we finally tied the knot. I knew I needed some regular exercise, and I've always been attracted to how practical running can be - a good pair of shoes, and you can do it anywhere. 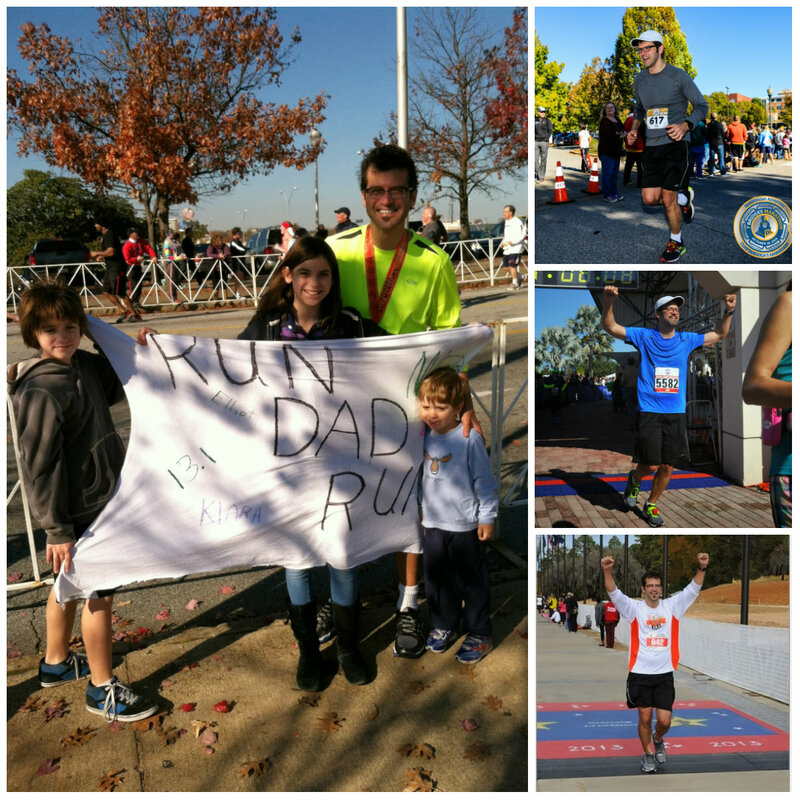 But in 2012, I fell in love with running, and like Forrest Gump, I just kept going. Every week I pushed a little bit further. Fast forward to today, I'm about to run my fourth marathon. When I started running, I never imagined I could run a marathon. I began running to improve my physical health, but the life benefits are so much more: Running taught me how to achieve something that I’d never before considered possible. I discovered that when you set out to do something big, there are three critical things you must do: learn as much as you can about how to accomplish your goal, be willing to adjust when necessary, and know when to ask for help. First, the basics: I set a goal - finish a longer distance, beat a certain time - then make a plan, and execute each individual task one day at a time. Ah, if it were only that easy! I quickly found out I had a lot to learn, that I couldn’t just toss on some shoes and run forever. Aches and pains, running out of energy before finishing a distance, and battling the voice in my head telling me there was no way I could do this all threatened to thwart my efforts. So I Googled, I talked to other runners, I went to sessions at running expos, and I learned all about training plans, energy gels, foam rollers, and dynamic stretching, oh my! That helped me get much further than before, but things seldom went as planned. I learned that you have to adjust your training to match your body’s current abilities. It’s a long slow build from where you are to where you want to be, and sometimes you have to take detours. Like taking a break to let an injury heal, or adjusting how far you go on a given day. I had to be willing to adjust my training and those day to day tasks if I wanted to reach my goal. Lastly, and perhaps most importantly, I found that no matter how far I could get on my own, sometimes the only way to get past a roadblock was to seek expert help. I began to have pains I never had before which were threatening my ability to continue. Finally, I went to see a physical therapist, who found that my treatment and operations from cancer over a decade before had my body all out of whack. Slowly but surely, she helped me fix all the issues. 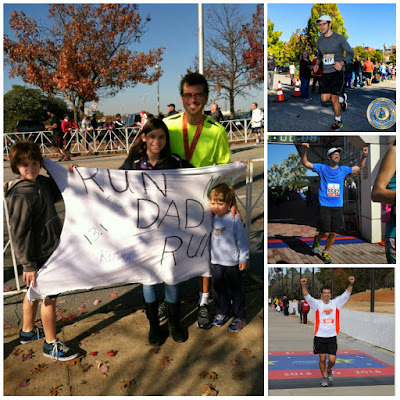 Only after I learned as much as I could, was willing to adjust when needed, and sought help to fix issues with my body I didn’t realize I had was I able to run my first marathon. Now I typically run a 5K, a 10K, a half marathon, and a full marathon every year. This experience has had a profound impact on so many aspects of my life. At work, I had an idea to create new mobile fundraising app. I learned what I could about how to make that happen, continuously adjusted my approach and efforts along the way, and of course sought the help of numerous people without whom we could never get the funding, the buy-in, and the code to create the app. The app raised about a million dollars in its first year, and is on track to do almost ten times that in its second year. It was just an idea a few years ago, and we created a plan, executed, learned, adjusted, and sought help when needed. My journey continues both at work and on the pavement. We've embarked on a mammoth project to migrate our websites to a new platform. My approach is the same - a goal, a plan, keep learning as much as we can, and know when to adjust and get help. We’re almost there, just like my approaching marathon.